By Peder Hammarskiöld, in 'English to Latin Translation', Apr 17, 2019 at 5:31 AM. I am designing a medal based on joke medal for a club I am part of. It is a pastich of a propaganda medal issued b Lous XIV of France. 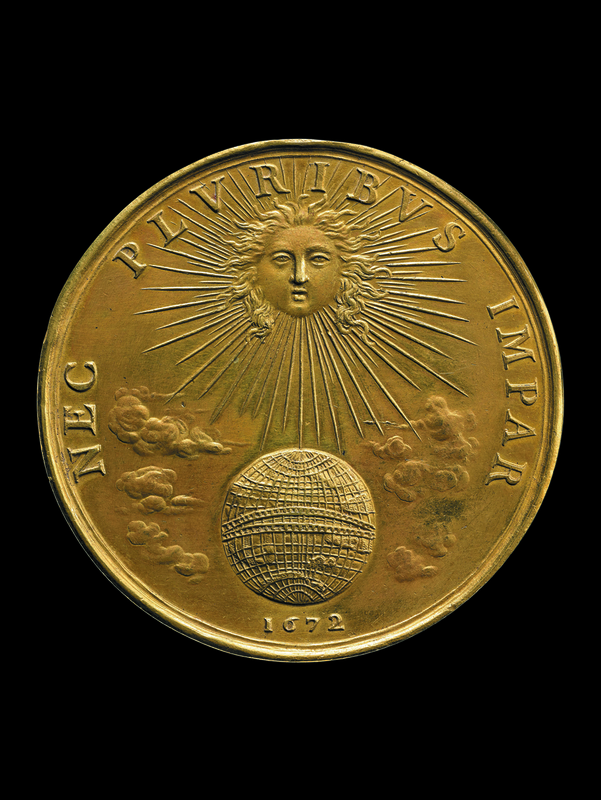 I am going to make a few changes to the design, among them the latin phrase 'Nec Pluribus Impar', wich I understand translates to the rather cryptical 'Not unequal to many'. I woul like the text to read 'Lubricate yourself well', meaning 'apply sunblock thoroughly". How would I phrase this in latin, preferably in three words? corpus omnino ungatur - the body is to be entirely smeared with oil. If addressed to several people, then ung(u)ite.